The first one is the Five Elements Noodles, which as the name suggested, included 5 flavours which are Chinese Toona, Pumpkin, Pitaya, Beetroot and Black Fungus. The ingredients used for making these noodles are all 100% natural. 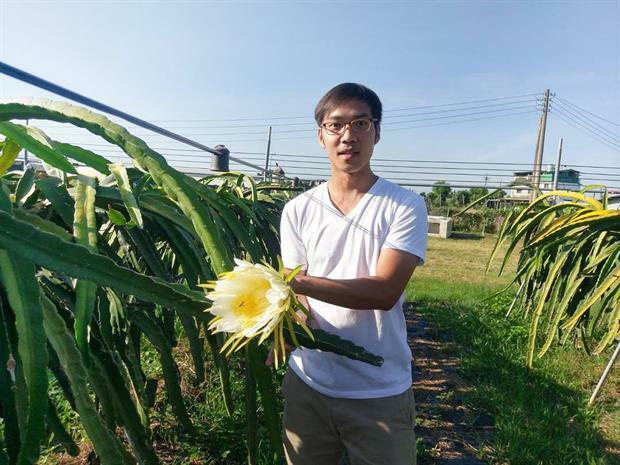 The highlight of this farm is that the director has been insisting to produce safe food, which did not use any pesticides and chemical fertilizer when growing the raw food. So when they have been turned to finished products like this pack of noodles, they refused to add any unnecessary ingredients too. By the way, the farm has long been certified by Taiwan Formosa Organic Association so you can be reassured with its quality products. Here's another product that we would highly recommend. This Pesto Sauce was very flavorful and rich in texture. The most common way of having it is to add in the pasta, but here's some more suggestion. We have tried adding it into our fried vegetables and stewed meats, and the taste was amazing. Also, dipping it with dumplings would be a good way to enjoy it as well. Somehow you can skip the salt or other seasonings with this handmade sauce. The below 4 packs of noodles are similar to the first one. The difference is this packaging comes in bulk, with around 10 noodles in each box. Out of these four flavous, we both agreed that basically each of them are so good that you can taste the earthiness of the natural ingredients used when producing them. My personal favourite would be this one in Beetroot flavour because it was very natural and it seems like drinking the beetroot juice with noodles haha. It may sound strange, but if you take a look of it carefully, you can see some beetroot on the noodles. And this is how you can even "see" the freshness of it. For the Dried Fruit, we have ordered Dried Dragon Fruit (TWD 150) and Dried Banana (TWD 150) this time. From the nutritional label, you would find that the fruit itself is the only ingredient. Nothing else has been added in the process and again, the emphasis on the natural ingredients has been reiterated. Both of them taste very raw and real as you can expect, very similar to having the real fruits - just being dehydrated in a natural way. Without adding any sugar or MSG, this is exactly what fruits (or veggies) should taste like! These are some really great snacks for us to get through the afternoon!